Millennials, the generation born roughly between the late 1980s and new millennia, are not kids anymore. 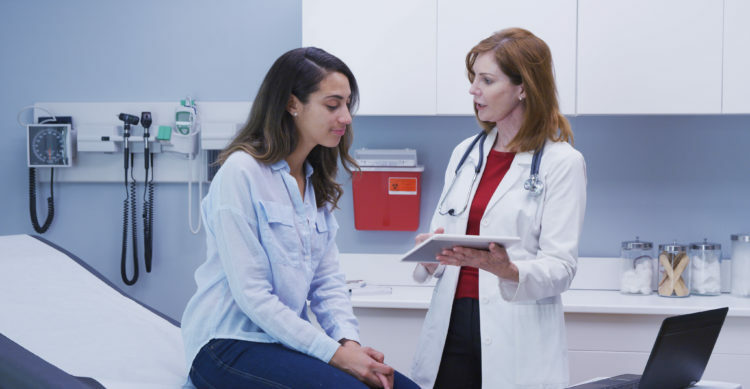 As young adults however, a trend has emerged among them suggesting that many millennials without a chronic condition are opting not to stick with their family’s primary care physician. Every generation has evaded primary care in their twenties—millennials are no different. A national poll of 1,200 randomly selected adults conducted in July 2018 by the Kaiser Family Foundation found that 45 percent of 18- to 29-year-olds had no primary care provider. This resistance to preventative care thwarts the building of a comprehensive health history for your doctor to reflect on. Health history itself is important as it allows your physician to parse through your results over time, potentially spotting an underlying issue before it becomes a problem. Of course, the resistance to a primary care physician likely stems from the lack of expendable income available to most millennials, many of whom came of age around the 2008 Great Recession. This economic backdrop forced a large portion of millennials to work while in college, prolonging graduation—or to forego college altogether. With the weight of student loan debt and shrinking wages, a large majority of millennials have been financially unable to access the doctor’s office until it’s absolutely necessary. Keeping mindful of the financial burden that many millennials experience, Legacy Community Health offers guidance on health insurance enrollment, in which a Certified Application Counselor (CAC) will help you find the right insurance for your budget and health care needs. Millennials are still young, enjoying youthful good health, generally speaking—but youth does not equate to invincibility. This year, CACs will be present at all Legacy sites until December 15th. You can call ahead to your local Legacy clinic at (832) 548-5000 to schedule an appointment with our team. Get enrolled this year with a CAC so you can access coverage for 2019—and start building that health history. Open enrollment for 2019 will end on December 15, 2018.